Recent concerns over the safety of pine straw lawn bedding near homes have caused North Carolina officials to propose a ban of pine straw in close proximity to a home. Dry pine straw acts as a kindling, which presents a serious fire hazard to nearby homes and property. Although it is not clear whether this law will pass, many homeowners and businesses are now opting to go with a safer mulch alternative. Aside from being much less flammable, mulch also offers many other unique benefits over traditional pine straw. Helps prevent soil dehydration, reducing evaporation and the watering requirements. Helps reduce weed growth due to the heavy covering of dirt and soil. Insulates soil keeping it warmer in the winter and cooler in the summer. Improves soil aeration, structure, and water drainage. Helps prevent certain plant diseases and pests. Provides a safe buffer zone for lawn mowers and weed eaters. Helps provide a uniform, well-groomed look for your lawn and garden. Can be used anywhere across a yard, including close to a home or building. Can be in the form of organic or inorganic mulches. Helps replace many of the lost nutrients and minerals within the soil as the mulch decomposes. Mulching is a safe alternative to the potential fire threats of traditional pine straw bedding. Even if North Carolina officials choose not to ban the use of pine straw near homes, mulching is still a popular and beneficial gardening and lawn care alternative. 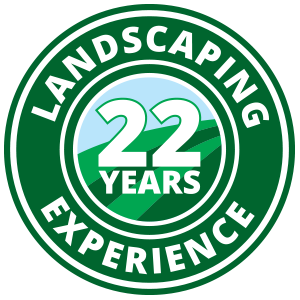 Contact a Hicks Landscape professional today to learn more about the latest pine straw and mulching law changes, and set up a free in-home consultation discussing all your best gardening and lawn care options! Contact us today!